WE’VE SEEN ALL sorts of DisplayLink implementations over the past few years ranging from simple USB to display interface adapters to monitors and docking stations. 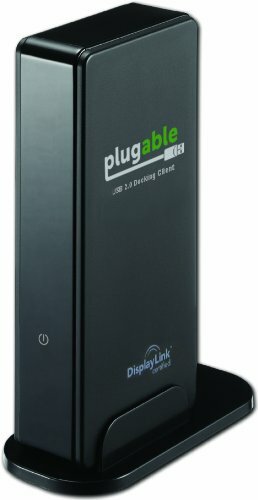 A company called Plugable has come up with its own rather interesting solution using DisplayLink technology, namely a docket client which allows multiple users to use a single computer. The concept in itself isn’t really new, as there have been numerous similar products over the years using just about every single internal PC interface possible. The trick with Pugable’s DC-125 USB 2.0 docking client is the fact that it’s simple to install and use, as it plugs in via USB to the host computer and that’s pretty much it. You do of course need a monitor, keyboard and mouse for the DC-125 to function as a computer, but that has always been the case for these kinds of products anyhow. However, Plugable allows you to use multiple DC-125s on a single computer, at least as long as it runs either Useful Multiseat Linux 2011 or Windows Multipoint server 2010 or 2011, both requiring a license. The DC-125 can also work as an extender if you want access to the one and the same PC in multiple locations, although Plugable offer more advanced versions as well like the UD-160-A which offers support for higher resolutions.